These presentation slides 50194 are complete compatible with Google Slides. Simple download PPTX and open the template in Google Slides. 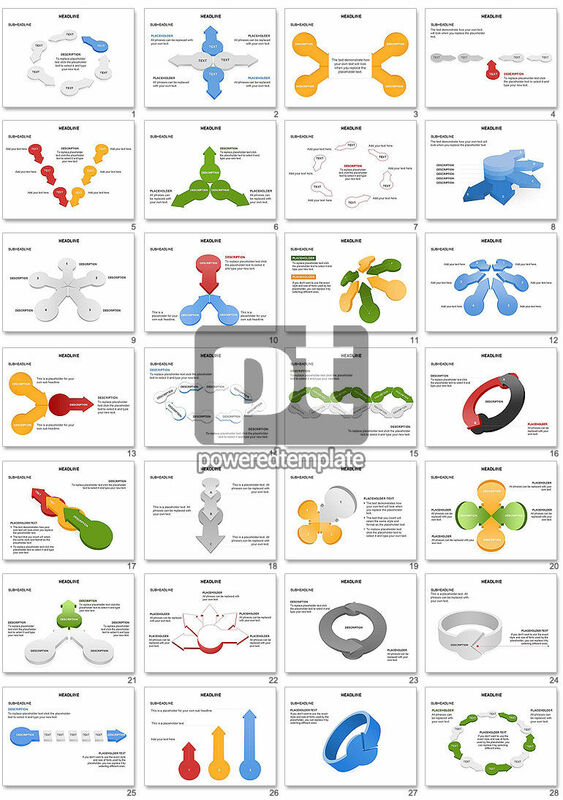 Represented slide deck has various interacting pointers located in each of 28 slides in different directions. These pointers are colored in yellow, grey, blue, green, red, white, black colors, varied by sizes and text around all infographics. Using such a creative presentation is warranted for getting successful project in any area of working or studying.